Are Farmers Markets & Food Stalls Better At Avoiding Waste Than Supermarkets? We all know the stories of how much food gets thrown out by the big supermarkets. In fact, it makes up a quarter of what they throw in the bin. Even in our homes it's estimated that 20% of the food we purchase ends up being wasted, the equivalent of throwing out one of every five shopping bags. But what about the booming farmers market sector, or popular food stalls at local community festivals? Full of fresh and delicious food, these markets and festivals are often a gathering place for people interested in local, sustainable food. So are they better at avoiding food waste, about the same as other food retail outlets and householders themselves, or worse? 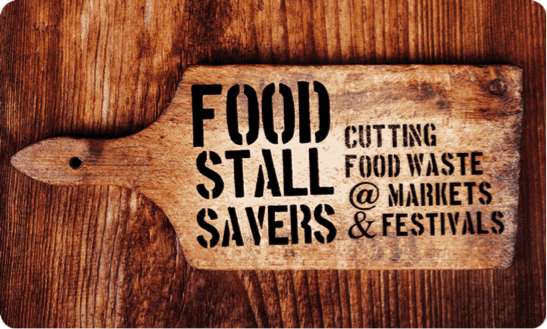 Our plan is to understand where and why food waste happens at festivals and farmers markets, how this differs from traditional food retailers like supermarkets, and what can be done by organisers, food stallholders and consumers to reduce it. Following the 'food waste hierarchy,' our goal is to see as much food eaten as possible, and to reduce food lost and wastage. TEC and ISF are piloting Food Stall Savers at the busy Pyrmont Mudgee food and wine festival over the weekend of May 14-15, with active support from the wonderful co-organisers, the Pyrmont-Ultimo Chamber of Commerce and the Mudgee Region wine and food growers. The organisers, food stallholders and visitors will all have a role to play over the 2 days! Read more about the festival pilot. 1 Million Women members and followers can help our Food Stall Savers evaluation by taking our 60second survey. At one market, a baker takes home any unsold bread to bake and turn into breadcrumbs, which are then sold the following week. At another market, a vegetable seller turns bruised or wilted vegetables into pasta sauce, while a fruit seller makes juices and smoothies out of over-ripe fruit. A honey producer takes opened 'sample' jars of honey back to the paddock for the bees to eat, meaning more honey to collect next time. The project has been made possible by grant funding* under the Love Food Hate Waste program in New South Wales, for which 1 Million Women is a longstanding partner and a passionate voice for stopping food waste. Read more about the research and follow the project on twitter. *This project is supported by the Environmental Trust as part of the NSW Environment Protection Authority's Waste Less, Recycle More initiative, funded from the waste levy. Love Food Hate Waste is a community education, engagement and behaviour change program, focusing on avoiding the creation of food waste. About the Author: Jenni is a Research Consultant at the Institute for Sustainable Futures at the University of Technology Sydney. With a keen interest in individual, organisational and societal change to address environmental issues such as climate change, Jenni works primarily in the areas of food, consumption and waste. Follow Jenni on twitter.